Will pop into the service centre when I’m in London this week and see how much to get it repaired. Anyone else lost their lume? I thought it was painted onto the bezel. Had no idea they could pop out. Did you knock it or anything? Be interesting to see what Tudor say. This is the fifth or sixth time I've seen this come up. It's a problem with the design. I don’t recall knocking it against anything, but might have - the Pelagos is my most regularly worn watch so gets lightly bashed against things sometimes. I thought the lume was moulded-in to the bezel so was surprised it could come out. Do you swim in a pool? One lost all its like after a summer of swimming. So what catalyst would cause the binder to fail? Chlorine, heat? Not the first time I see this, funny that BBBronze has issues when used in water too. Rarely swim in a pool but I do use my watches in saltwater regularly. I do the recommended rinse in fresh water afterwards (mainly to stop bezel getting all bound up with salt crystals). Popping into the Tudor/Rolex service centre today to see what they say. Looks like another fragile rarity to look forward to in 30 years then! Seems a shame that regular swimming in a dive watch results in that happening. I’d love an eta one but if I did own one I’d now be thinking ‘better not get it wet’ or constantly checking the lume is still there, you shouldn’t be worrying about this type of thing with a supposed rugged tool Watch. Popping into the Tudor/Rolex service centre today to see what they say. What is the age of your Pelagos? I’ve previously heard of problems with a few of the very early watches. I’ve had it from new, can’t remember if it’s late 2013 or during 2014 (will dig out receipt to check) dropped it off at the service centre this morning - awaiting quote for repair. Hopefully someone can pinpoint it to a specific batch like you say. Mine is one of the first as well. Also swim with it every holiday. Curious how this is solved, probably just an incident. I can't help but chuckle at the 'but its a Tudor, this shouldn't happen' like comments. Spending a bit more money and buying a prestige brand doesn't protect you from the fact there is a failure rate in all manufacturing. And once you use a machine out in the wild a brand name won't save you from additional problems. Tudor will do its best, but sh!t will still happen. Last edited by bedlam; 18th April 2018 at 04:47. ^^^ This indeed. Sage words. Exactly this. When mine went back due to a bezel issue the chap at the AD was very apologetic and I simply said if I bought a lambo things could still go wrong. It’s not important that it has broken its how the defect is dealt with that I care about. Just because it’s expensive and manufactured by a premium brand in the segment it does not guarantee nothing can go wrong. Interesting to compare buying a watch from a dealer to buying a car from a dealer. When I bought my car there was a small issue with it and it took them a couple of weeks to fix it but they needed to keep my car while they did this as it involved the ECU in the engine. The comparison to buying a watch that has a fault is that they automatically offered me a pool car to drive about in while they fixed it. Only new watch I had to take back was a Breitling superocean heritage and it got sent back to Breitling for work. Bottom line is that I had paid a large amount of money and had no watch for 5 weeks. Of course this being WIS I had other watches, but if I had no other watch I’m not sure I’d be happy at all with nothing in my bank and nothing on my wrist. 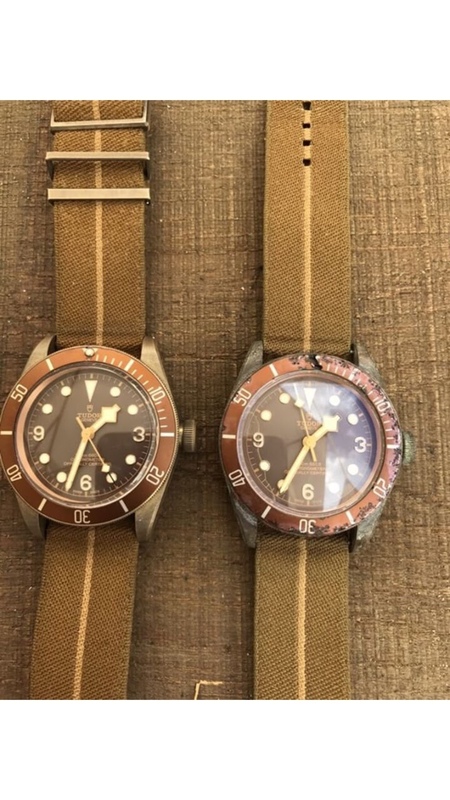 Seen a number of threads on various forums displaying this issue with the Pelagos bezel loom. Be interesting to see what RSC say. Still waiting for their response - I dropped the watch off last Tuesday, had an email yesterday saying they had contacted Geneva but hadn’t heard back yet. I’m interested to see what their response is as I have an ETA powered Pelagos. If it’s a known inherent fault, then I hope they fix it free of charge even if the warranty has expired. 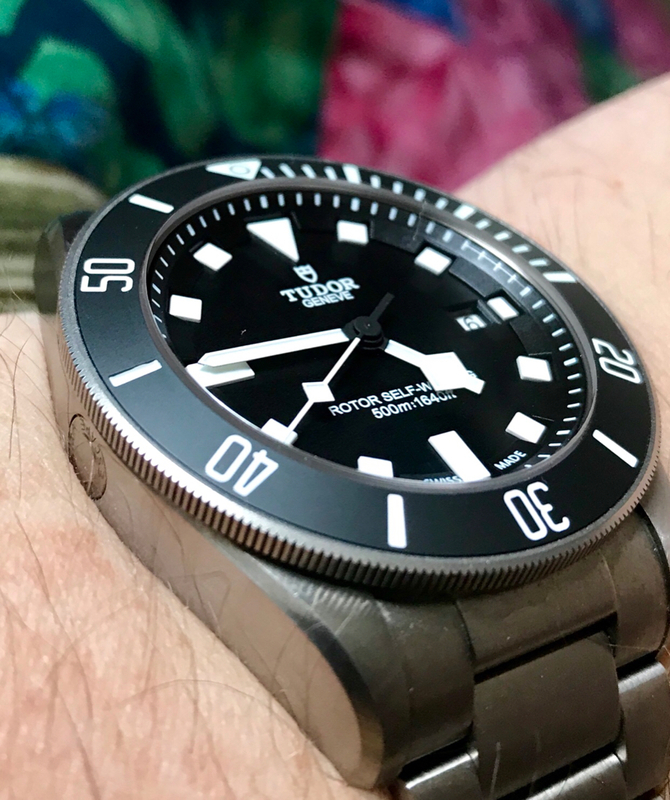 I have always loved the Pelagos, citing it before now as an achievable grail for myself, and I read most threads about it I come across. There always seem to be some niggles from everybody who owns one, only small things here and there, but just enough that I'm really unsure if I wouldn't fall out of love with it very quickly. But then again, where do you go for such a matte dial? It is a thing of total beauty. The ones going wrong are always going to be more mentioned than the ones that don’t. If it helps it didn’t put me off mine one bit. Never had any niggle with mine, owned since 2011, and still very much apprciated. In fact, i think i will go and put it on now. Never had an issue with mine and I have had it years. It's the perfect watch for me. I too am intrested in what RSC say. It's how you deal with a problem that keeps customers coming back. I hope the OP gets the resolution he wants. They sold by the thousand so it’s a minor issue I’m sure. Update - received message today (3rd May) to let me know that the bezel has been replaced free of charge and the watch awaits collection. I’m happy with that - can’t imagine that a Pelagos bezel is inexpensive if I’d had to pay for it. That’s great, was the watch still in warranty? the bezel has been replaced free of charge and the watch awaits collection. That's a great service, bet you'll be glad to have it back looking 100% again .... result! The OP said 2014/15 was date of manufacture so the watch would have been out of warranty. 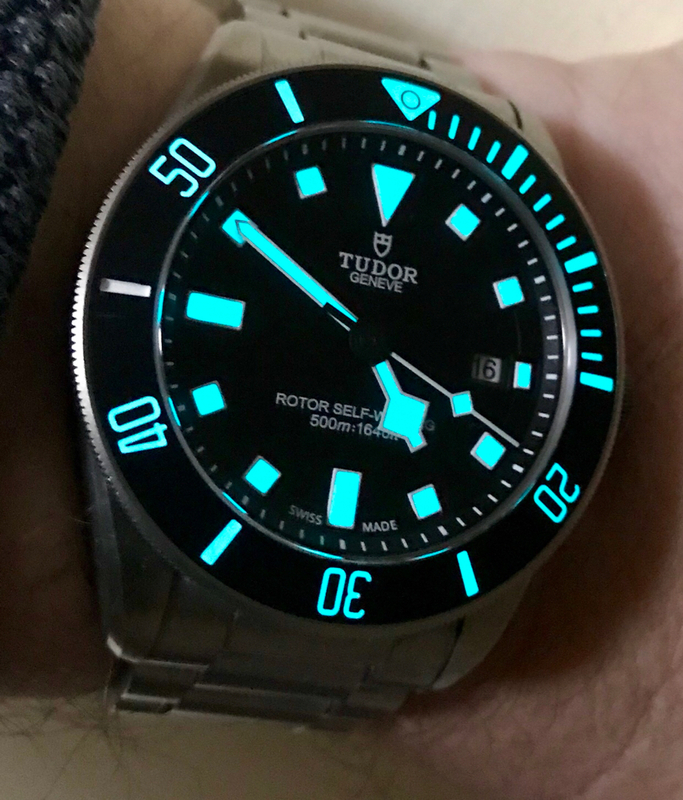 Although this problem is a rare occurrence, as a fellow Pelagos owner it’s good to know Tudor would sort it out if there was a problem. When I found the receipts & guarantee card turns out I bought it December 2014, so was definitely out of warranty. That’s great. Well done Tudor. Such as? Mine's doing just fine. Could this be due to chlorine in swimming pools as opposed to water? I always wondered about brass, bronze and copper coming into contact with chemicals like that. If different metals are touching and there is enough moisture it can happen without exposure to additional chemicals. Certainly sea water is more than sufficient. Bronze + Aluminum in contact = galvanic corrosion. Salt water probably acts as a catalyst. That's interesting to know, thanks. And presumably brass would be the same? I'm not a metallurgist, I only took an intro materials class in college, so I'm not sure. I do know that Tudor claimed that their alloyed case material wouldn't suffer from this. The whole thing is a pretty huge failure IMO. There's no way that happened in less than two years from just being exposed to salt water. No way. It looks like some dink tried to force patina by dumping it in some sort of chemistry. The strap looks like it's never even been wet. Shenanignans! There's no way that happened in less than two years from just being exposed to salt water. No way. I can’t comment on the strap but that picture looks like exactly like galvanic corrosion. If I’ve remembered my chemistry correctly a thin piece of aluminium placed flat against a copper based alloy and then put in water (especially sea water) creates the perfect conditions for galvanic corrosion. It doesn’t need to include any acid or other obvious corrosive chemical. You have effectively created a battery and as metal ions flow from the aluminium anode to the bronze cathode the aluminium is destroyed. (I think I’ve got my cathodes and anodes the right way round). The bezel, like the case of the watch (except for the back which is stainless steel) is aluminized bronze. This material is highly corrosion resistant, and excellent for marine applications. It's especially popular with boat propellers. Look at the case-it's pretty much as messed up as the bezel insert. The insert itself is aluminum, and clearly far more susceptible to whatever the watch was exposed to. Your chemistry memories aside, I think Tudor probably tested the watch extensively in salt water before selling to the public. Pure bronze does have issues w/ salt water, but when alloyed with other metals (like aluminum) does quite well in the ocean.